Cristo Rey Fort Worth High School is a Catholic learning community that educates young people of limited economic means to become men and women of faith, purpose and service. Through a rigorous college preparatory curriculum, integrated with a relevant work-study experience, students graduate ready to succeed in college and in life. 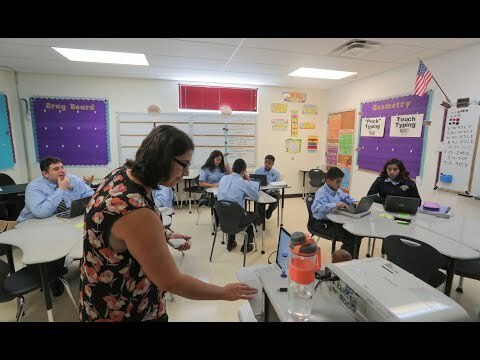 Cristo Rey Fort Worth is located in the Historic Terrell Heights District, one of the City's most economically disadvantaged areas, where 77% of families earn $35,000 or less per year. Beginning in each student's freshman year, CRFW will establish a culture of high-expectations by integrating rigorous college preparatory academics, four years of professional work experience, Catholic educational values, and a support base dedicated to assisting its students with enrolling in and succeeding in post-high school education. This unique educational model has a powerful formational impact on our students - demystifying the world outside their neighborhoods, gaining real world business experience, confidence, and aspirations for their future.